NOTE: The following is an article that was originally published on August 7th, 2008 under the heading Finding the hidden Intellectual Property (IP) value in procurement contracts. While it focused on the unique services of the Future Path organization, its resonance relative to the emergence of procurement contests – especially within the public sector, is ironic given the time that has passed since it was first posted here on the Procurement Insights blog. From a Future Path standpoint, it is almost as if they were somewhat too far ahead of the market. From the market’s standpoint, the insights provided by Future Path’s Greg Waite could not be better timed. At the conclusion of this post, I have also included the PDF document titled Public Procurement for Research and Innovation (Developing procurement practices favourable to R&D and innovation), which was an Expert Group Report prepared in 2005 for the European Commission. 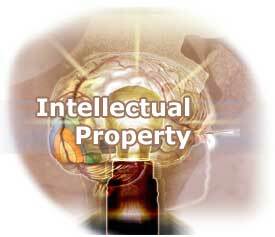 Section 6 (Contracting For Innovation), and in particular Section 6.1 (Treatment of intellectual property rights) is a must read. Looking beyond what Future Path President and CEO Greg Waite referred to as the “casual conversation” surrounding the issue of Intellectual Property (IP) rights within the majority of procurement contracts, I thought of my own work as a consultant. I am often retained by both public and private sector organizations to prepare studies or reports on a variety of topics ranging from the viability of digital signatures within the contract routing process to assessing the changing technological landscape and its impact on current as well as contemplated e-procurement strategies. Employing a patented research methodology, I have been told that my papers provide a unique insight and perspective that in many cases have resulted in a competitive advantage for the client. In this context, the question of ownership relative to the findings and corresponding conclusions has rarely if ever been broached. As the author of the paper, and combined with a significantly lower consulting fee as a result of the time savings associated with the methodology (which is centered on Web 4.0), I am of course not inclined to surrender these rights – at least not at the present price point. When Sir Francis Bacon coined the phrase “knowledge is power,” I am certain that he hadn’t contemplated it’s meaning in terms of IP value. This while you were sleeping mindset is best illustrated in the following Future Path case example. A firm is looking for an ERP system. The RFP goes out with the typical feature list, training, consulting, customization etc. The ERP system is forecast to cost $50M. A proprietary piece, covering consignment sales and inventory to the company’s 500 retail unit partners is in the RFP. Also the development of an e-learning system will also be jointly put together. The typical contract would certainly have all the proper IP rights in there. But there is no doubt that the ERP vendor will take some or all of the IP arising from the e-learning system and the consignment inventory system to future customers. With an IP perspective the procurement team would work to identify all unique value add coming from the requirements and would identify the consignment inventory system and e-learning system to be proprietary and a source of innovative advantage over the competition. At the very least, it is a major source of negotiation. It might actually be more beneficial to let the vendor create a commercial and therefore portable consignment and e-learning system with royalty sharing. Or the vendor may wish to be unencumbered and therefore have to reduce his (or her) cost to have 100% IP ownership and business flexibility. The above example certainly raises the question, how much value from both a monetary and competitive advantage standpoint has your organization “unknowingly” surrendered over the years? Like high blood pressure, it could be the silent killer – at least for your balance sheet. What is interesting is that most organizations have likely spent considerable dollars implementing an application in which a buffet of plug and play legal terminology is made available to the purchasing department for incorporation into a contract. While these solutions may satisfy the technical elements of the law, to what degree (if at all) do they take into account the IP value associated with the transaction? While the vast majority of contracts seek to protect the interests of individual stakeholders – some have referred to it as the “belt with suspenders” clauses, in most cases it is unlikely that a value has actually been assigned to the contract’s IP component. Enter Future Path’s Nucleus intellectual asset/intellectual property management system. As is always the case, these profile articles are designed to inform and where necessary facilitate an introduction between the Procurement Insights readership and its sponsors. Therefore, the viability of any sponsor solution for your organization will be up to you, and you alone to determine. In this regard, I will direct you to the Link To Our Sponsors section of the PI Blog to invistigate the Future Path value proposition in greater detail, and at your own convenience. That said the purpose of this post is to provide you with a point of contextual reference. And as I tell my seminar audiences, my sole purpose is to stimulate you to think outside of the framework of that with which you are most familiar and most comfortable. In essence, help you to see through a new or different lens of greater understanding. This of course leads to the question, why Future Path (and in particular their Nucleus product)? A company is looking at a web-based content management system. It has operations in the US and France. The vendor of choice does not have a language localization dictionary in French, though it has many other languages. The client and or the procurement group request a quote for the French translation services, knowing that this is best left in the hands of the software company. The software company quotes $25,000. The total price is competitive with other vendors and this is the vendor of choice for a variety of reasons. So the delivery of the French dictionary is built to the contract. Though a small opportunity, the procurement department had the chance to look at the translation as intellectual property, in this case Copyright. The client was paying full value including a profit. The procurement department could have, and should have asked for a royalty of 20% to 50% for each sale of the dictionary to the software company’s clients. This would open up an entire dialogue from which meaningful insights would surface such as, a) confirmation of the software company’s pricing model for subsequent customers, b) the level of interest on the part of the software company in terms of future market development, and c) the software company’s intentions relative to making the product available to competitors to name just a few. The change in perspective is powerful, because the procurement group starts to treat the dictionary as an intellectual asset or property from which the vendor derives an ongoing value. While Future Path can undoubtedly provide a variety of similar case references, the real question is simply this . . . what is the current IP value that is presently available to your organization, and what is the cost of not knowing this answer? ← Government procurement contests (Part 2): When innovative ideas collide . . . This post is a follow up to ‘Innovation Through Procurement Contests’ (Part 1), my thoughts on Procurement Insights’ 3 part (so far) series on contests in public procurement. I’ve had a chance to think about the idea a little more and as far as I’m concerned, if it allows the buying organization to put the right solutions in place, then it is a benefit. As I commented in my previous post, the concern becomes for the procurement professional whose role becomes one of administration rather than strategy and negotiation. Although I didn’t realize it at the time, I had started down the road towards what would become a sticking point for some of the collaboration-style projects often resulting from new solution development: intellectual property rights. While reading part 3 of PI’s series, and the supporting white paper “Public Procurement for Research and Innovation”, an Expert Group Report prepared in 2005 for the European Commission, I started thinking about the difference between requirements and specifications. Both provide prospective suppliers with (a.) the information to decide whether or not to participate in the bid and (b.) the background required to define the details and pricing of their proposed solution. In the case of R&D, however, the difference is significant. While specifications define the parameters of the solution itself, requirements define the end product/result only. 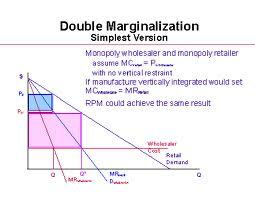 While a bid based on specifications will likely result in a group of comparable solutions, one based on requirements will result in more variation in the proposals and methods, but may also result in greater creativity and find a better solution because of the flexibility afforded the suppliers.